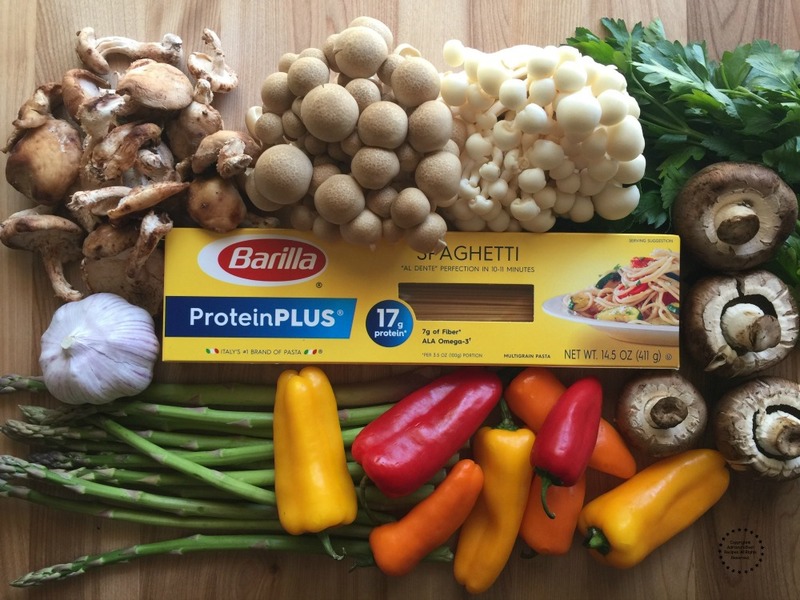 I have been compensated by Barilla and Walmart for this Roasted Veggies Protein Pasta with Protein recipe and post; however, I am sharing my thoughts and opinions. 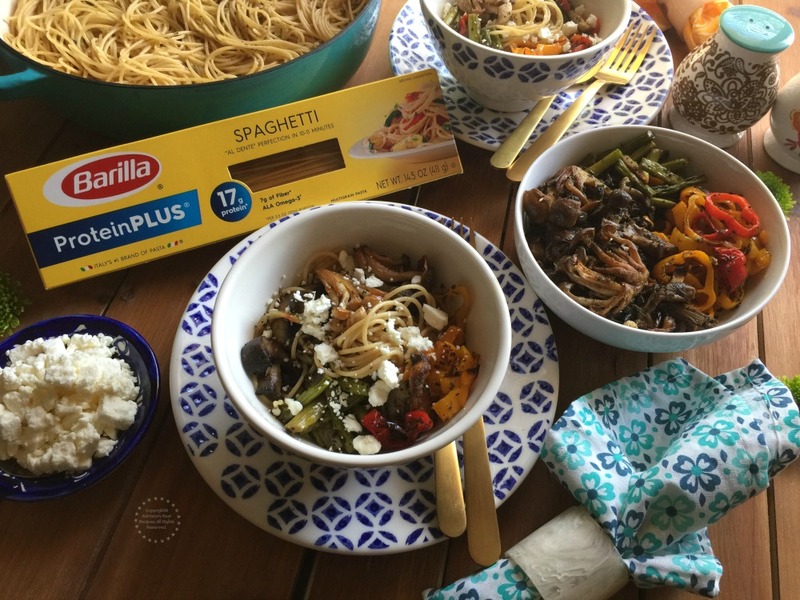 Cooking with Barilla ProteinPLUS pasta and adding my favorite roasted veggies is like being Best Friends Forever. At home, I like to prepare family meals that are easy to make and support my mission to achieve balanced nutrition in every meal I serve. That is why I like to use Barilla pasta because this brand offers a variety of pasta that can help any and everyone to achieve their nutrition goals without compromising on taste. 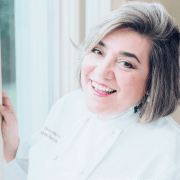 With Barilla I can cook super wholesome and super delicious meals always. Having wholesome dinners like this roasted veggies protein pasta is a perfect addition to the weekly menu. 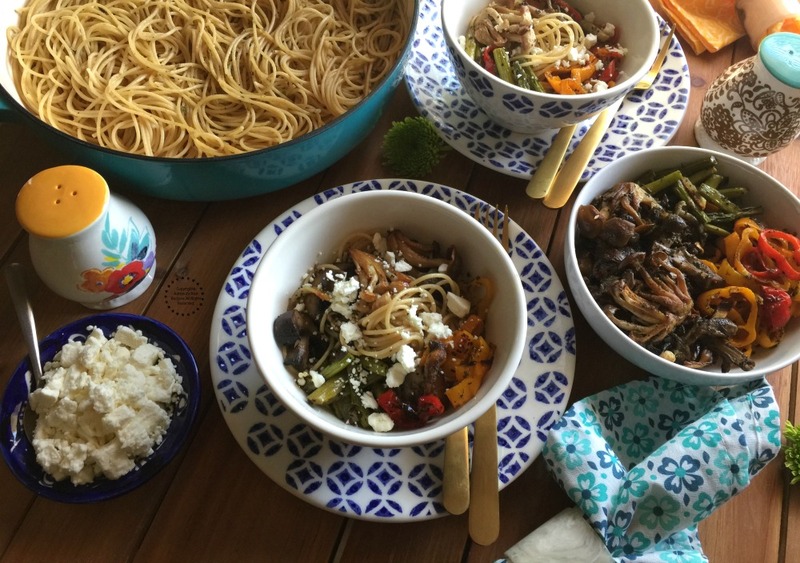 This recipe includes fresh mushrooms like shimeji, white bunapi, shiitake, and portabella. Paired with asparagus, sweet peppers, and garlic. 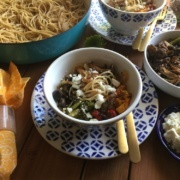 Roasted Veggies Protein Pasta made with fresh mushrooms, asparagus, sweet peppers, and garlic. 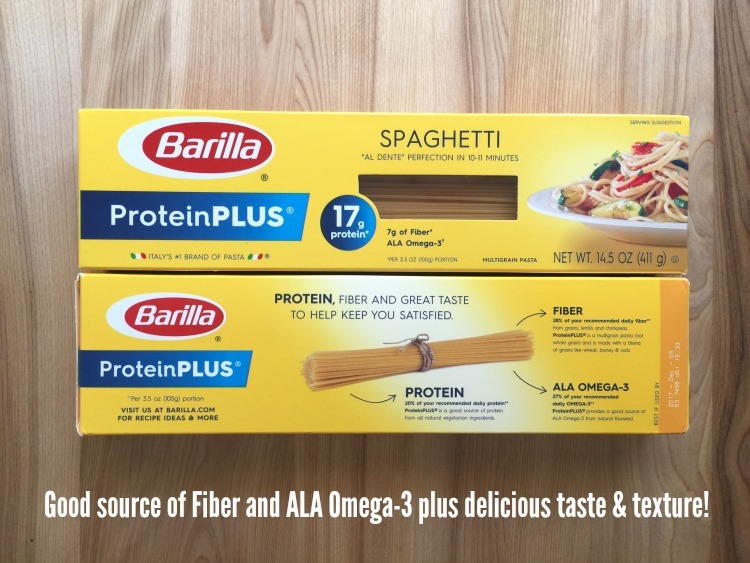 Using Barilla ProteinPLUS pasta, a good source of Fiber and ALA Omega-3 with great flavor and texture. Prep the veggies and place them in a roasting pan. Season with the spices and add the olive oil. Roast the veggies in the oven on medium for 5-7 minutes until getting the desired roast. Cook the pasta following the instructions in the package. When ready season with some olive oil and a pinch of oregano and sazon latino condiment. 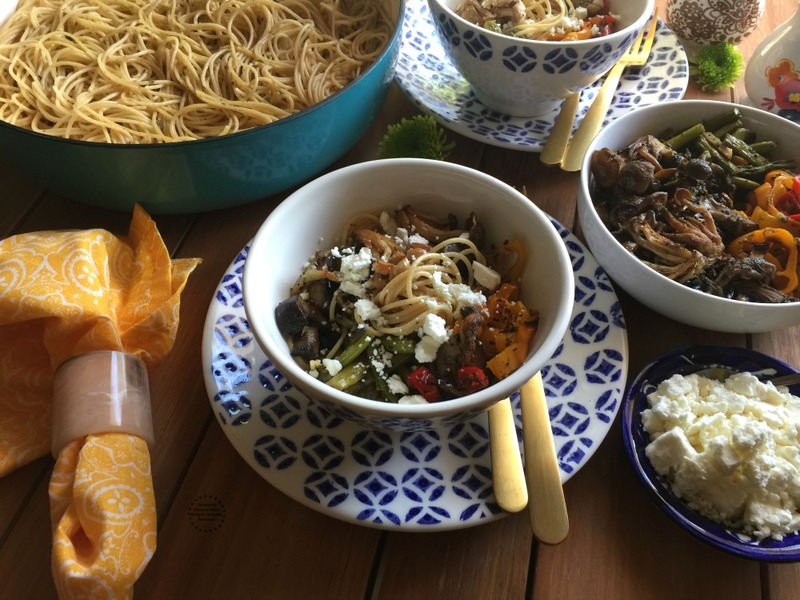 Serve the pasta in a bowl and add the roasted veggies. Garnish with feta cheese and enjoy. You can use any vegetable in the season for making this pasta. Most veggies can be cooked using the roasting technique. Replace the sazon latino condiment with salt, garlic powder, and cumin. The veggies are roasted in the oven for few minutes and added to the cooked Barilla ProteinPLUS pasta seasoned with olive oil and oregano. Then the dish is finished with crumbled feta cheese, which adds a creamy flavor to the earthy combination of roasted veggies. 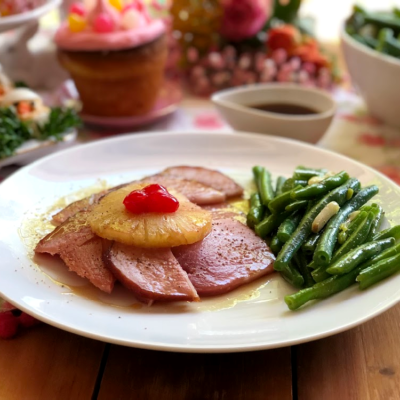 Watch the video and learn how to make this yummy dish. The roasted veggies protein pasta is a complete meal that is ready in a few minutes. The recipe was made with Barilla ProteinPLUS pasta which is a good source of lean protein from a simple blend of egg whites, grains, lentils and chickpeas. This pasta provides 17g of protein (per 3.5oz portion) from all natural vegetarian ingredients. It is a good source of Fiber and ALA Omega-3. Plus I was impressed with the delicious taste and texture. I am glad that all the ingredients for the roasted veggies pasta recipe are available at my local Walmart. I found the Barilla ProteinPLUS pasta at the pasta aisle. 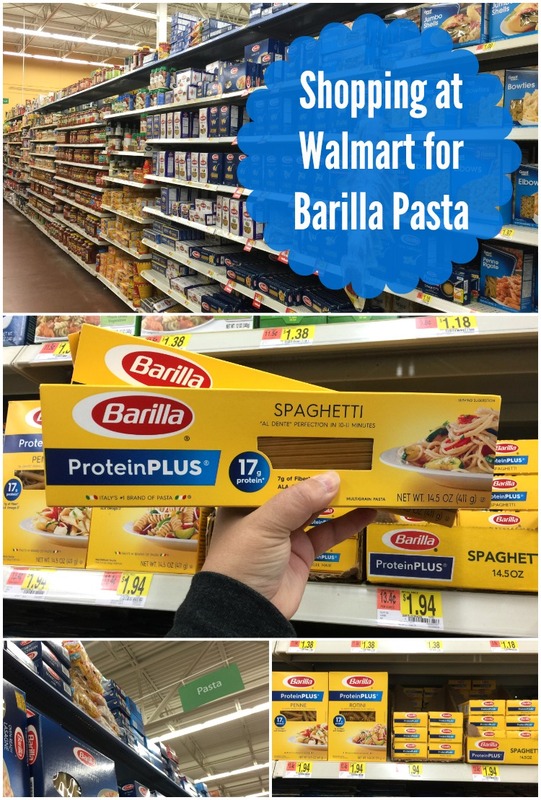 And while at Walmart look for the Barilla Gluten Free pasta too. This product has recently been named one of Parents Magazine’s “Top 25 Allergy Free Foods”. If you or any member of your family suffers from allergies, this is a great option. Then grab some Barilla Marinara sauce, and dinner will be ready in no time. Get inspired visiting the Barilla Pasta website. 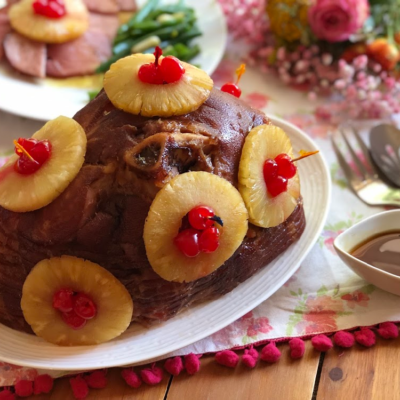 They have wonderful recipe ideas that you can make at home. If you love Pinterest visit Barilla’s Pinterest board too! I only use Barilla or homemade Pasta ! Always the best. Din’t know they had a Protein plus and gluten free version too. Love the roasted veggies in this dish. Roasting veggies is the best (other than grilling). 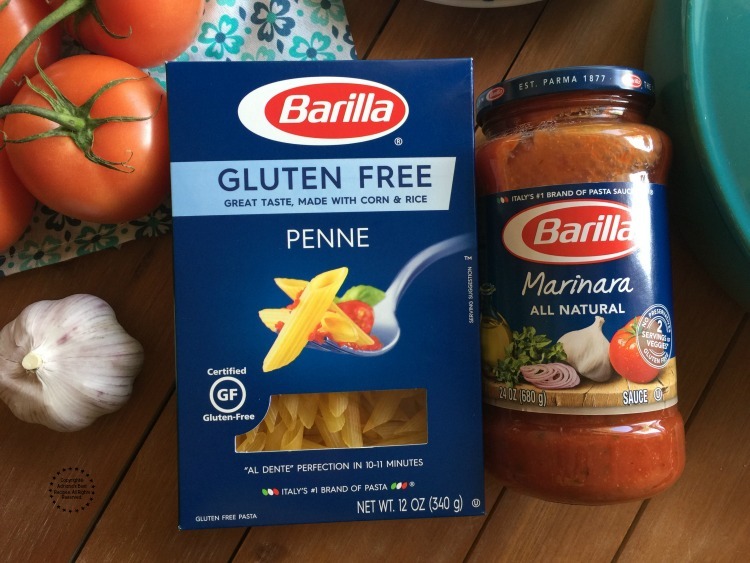 I have never tried the added protein pasta, but do love Barilla and use it all the time. This sounds totally delicious and easy to prepare. I’ll take any way to up the protein in my meals, especially with my kids. The protein plus from Barilla is such great quality, right?! Wow that is quite a beautiful spread! I love all of the add-ins that you used, especially the asparagus and all of those mushrooms. Shiitake mushrooms are my favorite! 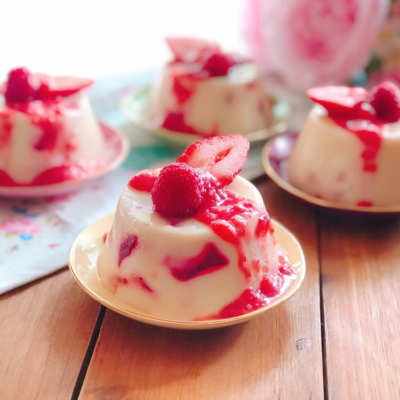 The video with the recipe is so useful. I think so the different barilla versions are just available in certain parts of the world. They have an eggless version in India for the Indians who eat only eggless. I don’t recall seeing that in central Europe or France. What a healthy dish! So full of veggies and the protein pasts (genius) – I love how the colors draw my attention … I want to eat a bowl of this for breakfast! I’ve never heard of protein pasta but what a great idea. I love all the mushrooms you included in this. The Barilla Protein Plus is such a great product. Nutritionally it is superior to regular pasta. Now, if only it was gluten free! This is really healthy pasta with lot of veggies that too roasted means flavor full . My kids love pasta as most of days it is their dinner. I would love to give it try as I am looking for change always. The roasted veggies in the dish will be such a winner in my house. Just love the flavor of roasted vegetables. I only buy Barilla pasta and I am yet to try the protein plus. Perfect comfort food that’s healthy too ! 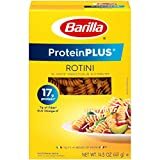 I didnt know Barilla came out with a 17g Protein Pasta, I literally was at Walmart today and missed these. I’m gonna definitely look them up and try this combination. My cousin was JUST telling me about this pasta. I have to look out for it at the grocery store when I’m there next. A big reason why we avoid making pasta is that they are “empty calories” with not enough nutritional benefit. Well, here they go proving me wrong. I’d make pasta ALL the time if it had added protein! This is the pasta after my own heart as it’s loaded with mushrooms! 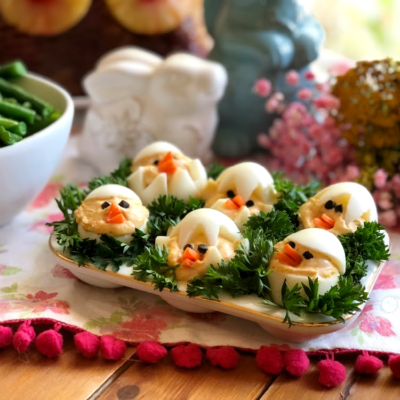 I can just imagine how delicious this is and what a perfect spring dinner this would make! 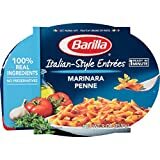 I love all Barilla products, they are really good. And pasta is a dish that everybody loves in my family. Just so easy to make, and endless ways of cooking them. The roasted veggies sound perfect here, great way of keeping everybody happy. 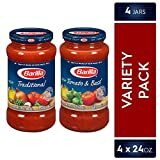 I only use Barilla pasta as well for my pasta dishes. 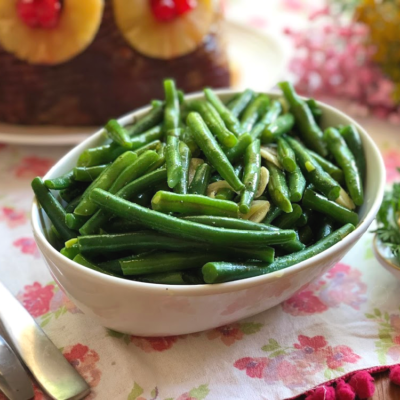 This dish looks delicious and so healthy. I love all those veggies too! Those veggies on the pan waiting to be roasted look incredible. And this recipe is perfect timing! We’re trying to move from a carb-rich to a more protein-rich diet. Can’t wait to try. Well, this is new! 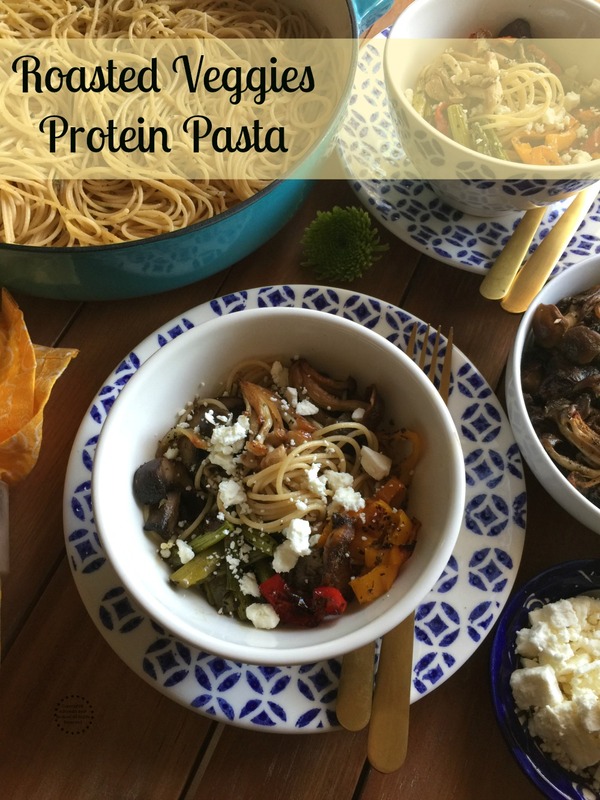 I’ve never heard of protein pasta before – that’s so cool! I love how you kept this dish extremely healthy too with all of those roasted veggies. I’ll have to try this! I love to eat pasta and even though I quit for a while, I still love it. My problem is that I would eat all the carbs and not add any protein to it. Just sauce and noodles. Now I won’t have to feel guilty or add a lot of cheese to mine to get some protein! Can I eat it for breakfast before my workout? Pasta is perfect weekday meal my family just love. And when it’s a healthy pasta, that’s a big plus! That’s why I love this recipe. Can’t wait to try it. Sounds really delicious with all the different mushrooms inside. This sounds like a balanced and delicious meal. I have to try out that pasta! That extra protein is great. 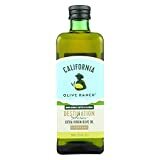 One of our favorite pasta brands to purchase and to eat! So great to learn more! I love that this pasta contains so much protein. That is a great way to give your body what it needs to stay healthy.